When switching from stock turn signals to LED turn signals on newer model bikes (KTM, Suzuki, Kawasaki, Husaberg, etc.) we have found that power can be back-fed through the OEM indicator light bulb on the dash, causing all four turn signals to flash at the same time. This wiring harness kit corrects this issue and allows you to run LED turn signals and keep your turn signal indicator functioning properly. 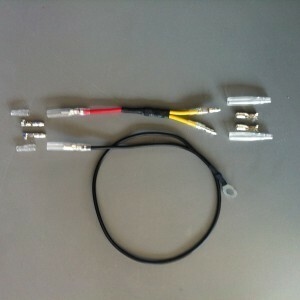 The kit is complete with step by step instructions and includes all connections needed.